In case you have been living under a rock, by now you have probably heard that Alexis and I are in the process of getting divorced. The truth is, we simply grew apart. We decided to divorce because it was the best decision for us, our future, and our children, who remain the key focus of both of our lives. For those who are actually here to support me and my family, I thank you, and I am happy to report that the kids are adjusting well and doing great considering the transition that’s taking place. 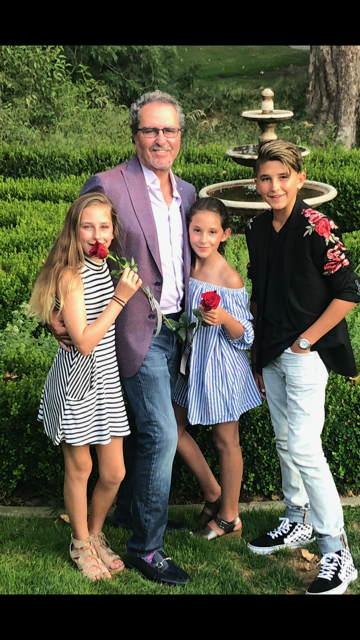 What I am most grateful for is that my children are doing well and in fact, we had a wonderful time over the 4th of July holiday. My most important job in life is being a father—nothing will ever stop me from making my kids my number one priority—and that includes the media circus. I am going to take the high road and not take any cheap shots. I am moving on—and so should everyone else! Your children are beautiful and you have always been a wonderful father. I am definitely here to support your family but you can’t be shocked that the public speculates about why, when you were known for such strong Christian values. Many fans put your strong marriage on a pedestal so you can’t blame anyone for wondering why you let your family fall apart. I do wish your family all the best at this difficult time. so much yaaaas! preach! so glad you are no longer on the show! its a danger to your children these women are a danger to their own children and to each other!